Used static caravan for sale | Preowned static caravan for sale in Cornwall. This preowned, (by Hentervene,) 29’x12′ 2 bedroom caravan for sale sits on a peaceful sunny plot. 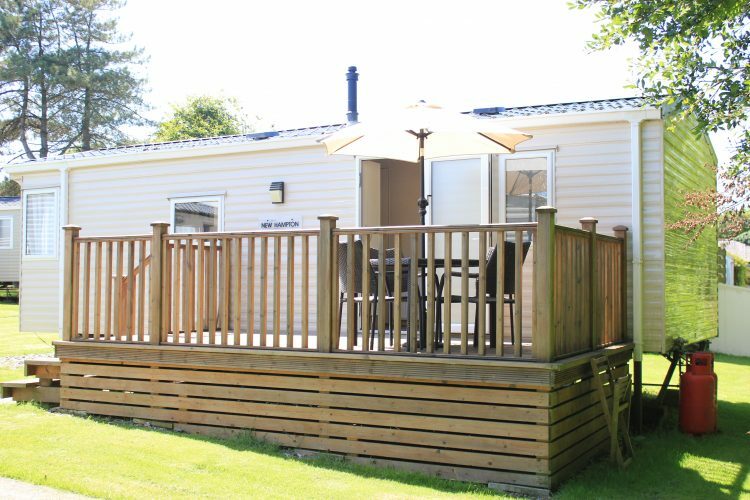 This lovely caravan for sale offers 1st class accommodation for you and your family to holiday in North Cornwall at a very competitive price. Bought in 2013, this caravan has only ever been owned by Hentervene and is in excellent condition. South facing wooden sun deck. 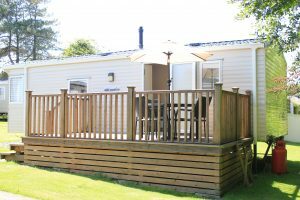 Whenever we buy caravans to let or to sell, we always ensure they are excellent quality, so if we do let them, our customers are extremely happy (see our many 5* reviews over the internet.) The benefit of that is that if we come to sell something, we are selling something that is in excellent condition and something that you will be proud of. Please give us a call on 01840 230365 for more information or message us here.